It's that time of year! While I'm not excited about all the weeding, I am eager for all the harvesting. So far we have a few things up in the garden. My asparagus is back and this year we get to eat it! Since last year was the first year, I had to leave it alone. I posted a picture of Pierce on Instagram recently with asparagus that is waist high! Last year I had 3 rhubarb plants but for some reason only one of them came back this year. I'm hoping it will do well - since I only have the one it needs to be a good producer so we can have crisps and jams. I will have to put more rhubarb in next fall. Pierce helped me put in lima beans and brussel sprouts last weekend. And I also put in a green pepper (it is still a little early, so I only planted one) and some broccoli. I am waiting on all the squashes until June, in hopes I'll miss the squash bug population this year. It is hard to wait though. Summer squash is one of my favorites! In the next couple of weeks I'll get tomatoes, potatoes, and beets in. Readers, what is your favorite garden vegetable? My favourite? All of the above! I must confess to truly loving fresh pattypan squash however. Wow! It looks wonderful! You are going to have such delicious garden based meals this spring and summer. Happy growing !!! Have a wonderful day ! Hope we aren't planting too late! Our dirt is being delivered tomorrow.... planting to come soon after! Oh Lisa...it all looks so good! Only one of my rhubarb survived too. Not sure what happened to the other two. 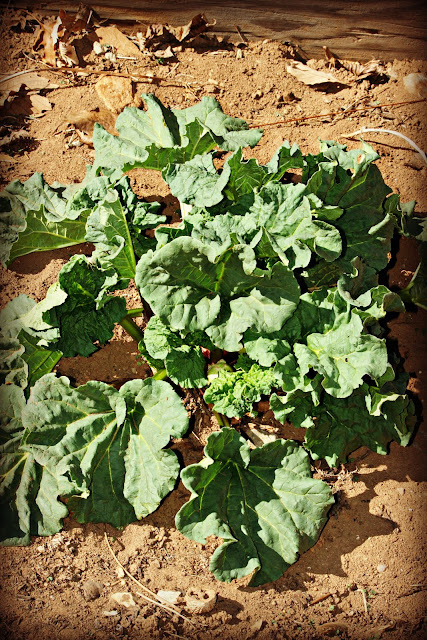 You're going to have a garden full of good eats! I love fresh green peas, tomatoes, new potatoes, and onions. Fresh veggies are the best. 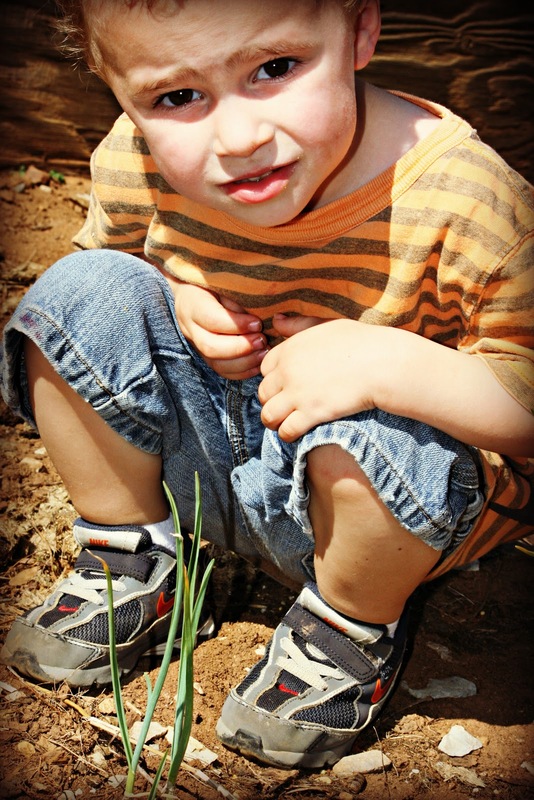 Your boys are learning early about gardening--that's great! I don't think I was allowed to do much at those young ages. Waist-high asparagus? I had no idea they got that tall. All of your planting a sound healthy and delicious. i love rhubarb crisp and rhubarb sauce (sort of like applesauce but tart). yum! Wow, you have done a LOT! 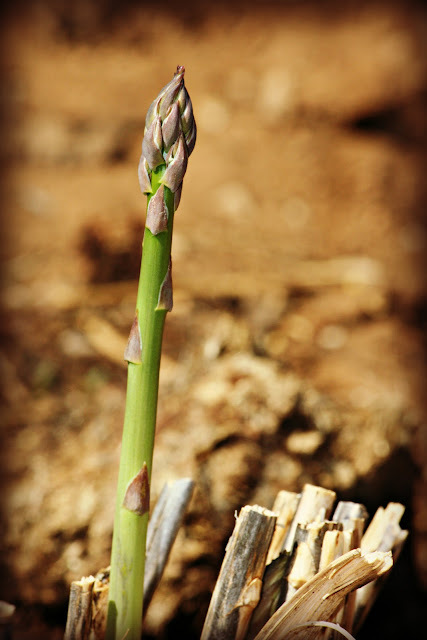 And asparagus seems like such a cool thing to grow, I don't think many people do it, maybe because of the wait? I am a carrots and potatoes person, and onions! i make a rhubard dessert with the rhubarb and sugar on the bottom, a battter topping this and boiling water and butter over this that when baked is a real delight. My allergies are HORRIBLE right now! Trying to garden while blowing my nose is challenging:) I will write soon-I promise. I want your rhubarb cake recipe! oh i just can't wait!! I am jealous! I planted some asparagus last year but it hasn't shown itself yet. I planted more this year...we will see. I hope I get something to come up though! Yay for asparagus! I really need to get some of that going in our garden. I'd say tomatoes have to be my favorite veggie to grow. You're doing so well already! the photo of Cort is one of the best photos I've ever seen...it's seriously fabulous! I'm so excited to start a hunt for asparagus. I guess there's some planted/hidden somewhere around this farmhouse. Mystery hunt is on! We just bought a tiller and have dug up the soon to be garden. There was a garden there for over 100 years before we bought the place. I cannot wait to plant. I follow a blogger in Australia who likes an Italian squash that squash bugs aren't supposed to eat. I found the seeds online at southern exposure seeds but not locally. This is a neat blog as she has figured out a lot of what I try to do. You have an awesome garden...enjoy!